As music evolves and artists take their expression to its creative limits, we as listeners get to enjoy the ride. 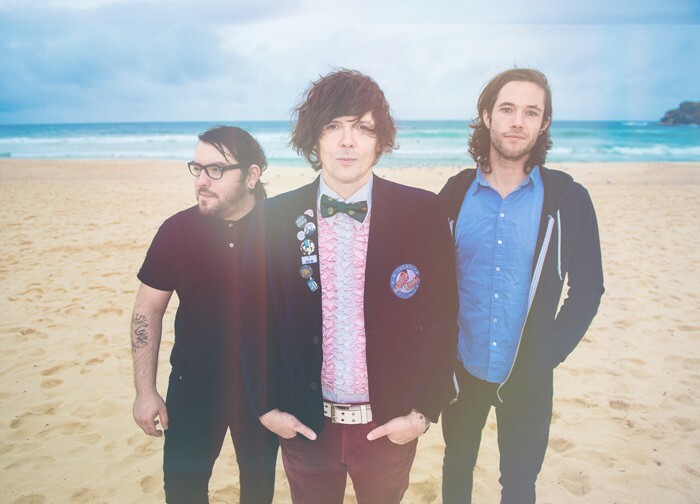 Sometimes it’s a longtime friend, such as Bruce Springsteen, or sometimes it’s a band like Beach Slang that embodies his spirit and creates songs that resonate for a new generation of music lovers. Either way we win and The High Note celebrates it each Friday. on Facebook, Twitter, Google+, Instagram and Pinterest. “A Loud Bash Of Teenage Feelings,” released Friday, Sept. 23. This album is exactly what you would expect as a follow-up to last year’s tremendous debut “The Things We Do to Find People Who Feel Like Us.” With a mixture of The Bouncing Souls and The Gaslight Anthem, Beach Slang pairs beautiful and hopeful lyrics with gritty, distorted and gritty rock rhythms. The second track on the album, “Atom Bomb,” builds with an angsty hook and explodes with veracious delivery. The first single, “Punks In A Disco Bar,” Alex channels his inner Bruce Springsteen and lets his words echo in the hearts of listeners. My personal favorite is “Spin The Dial,” but there are so many standout moments amongst these 10 tracks. See Beach Slang Tuesday, Sept. 27 at Rough Trade NYC in Brooklyn, New York; Saturday, Oct. 8 as part of the Project Pabst Citywide Festival at the Electric Factory in Philadelphia, Pennsylvania; Tuesday, Oct. 11 at Black Cat in Washington, D.C. Get “A Loud Bash Of Teenage Feelings,” from Beach Slang, Polyvinyl Records, iTunes, Amazon, Google Play, Spotify and Tidal. Happy Birthday Bruce Springsteen! Springsteen celebrated his 67th birthday Friday, Sept. 23 with the release of “Chapter and Verse,” the companion album to his anticipated autobiography “Born To Run,” expected to be released Tuesday, Sept. 27. Get “Chapter And Verse” from Bruce Springsteen, iTunes, Amazon, Google Play, Spotify and Tidal. The Walkmen lead singer Hamilton Leithauser and former Vampire Weekend member and producer Rostam Batmanglij teamed up for the inspiring “I Had a Dream That You Were Mine,” released Friday, Sept. 23. The New Yorkers that both represent their own corners of indie rock in the city, takes a more folksy roots approach to the songwriting on “I Had a Dream That You Are Mine.” From doo-wop to Paul Simon-like acoustic ballad, there are no bounds to this collaboration. See Hamilton Leithauser + Rostam Monday, Sept. 26 at Rough Trade NYC in Brooklyn, New York. Get “I Had a Dream That You Were Mine” from iTunes, Amazon, Google Play, Spotify and Tidal. Wye Oak founder Jenn Wasner spreads her wings on her first full-length solo record as Flock of Dimes, “If You Hear Me, Say Yes,” released Friday, Sept. 23. With moody, dreamy synth-pop rhythms, “If You See Me Say Yes,” is an ambitious adventure into the moody, artsy and avant-garde. In spite of danceable tracks, Warner creates a mysterious and compelling nature to her songs. These songs all at once sound inviting and lonely as sung by Warner. The first single “Semaphore,” is exceptional and has a fun upbeat groove with a subtle hint of distance and longing. See Flock of Dimes Tuesday, Nov. 1 at Johnny Brenda’s in Philadelphia, Pennsylvania; Wednesday, Nov. 2 at Rough Trade NYC in Brooklyn, New York and Friday, Nov. 4 at U Street Music Hall in Washington, D.C. Get “if You See Me Say Yes,” from Flock of Dimes, iTunes, Amazon, Google Play, Spotify and Tidal. Canadian singer-songwriter Shawn Mendes is back with his sophomore release of soulful pop-inspired songs on “Illuminate,” released Friday, Sept. 23. Check it out from Shawn Mendes, iTunes, Amazon, Google Play, Spotify and Tidal.